Mobile e-commerce sales composed 34.5% of the total e-commerce sales last year, according to Statista, and this number will keep getting bigger. So if any retailer has not yet gotten a personal mobile app for their store, now it’s time to start thinking about one. The process of developing an eCommerce mobile application is basically the same as for any mobile app. What differs is a set of components, that differentiate an eCommerce app from a game or any other application and allows it to conduct financial transactions and handle a big number of requests. A payment gateway is an essential component of any mobile e-commerce app. It is a service that helps users affect a payment and guarantees the security of in-app financial transactions. Payment gateway service encrypts the data and sends it to the issuing bank. The bank processes the request and either accepts or declines it. Upon approval, the payment is debited from the buyer’s card and is transferred to the seller. There is a variety of payment gateway providers, with PayPal leading the list. Other popular and convenient services are Braintree, Stripe, 2Checkout, Amazon Payments. One of the things to consider is to choose either a dedicated or aggregated merchant account. A dedicated account will grant you more control over your funds, like accelerating the speed of money transfer operations or adjustment to the customers’ needs, but this option is more expensive and complex. An aggregated account, on the other hand, offers faster and easier access to your account but keeps your funds together with other merchants’ funds. Another crucial point is PCI DSS compliance. It does not matter whether you purchase the most expensive payment gateway system or the least expensive one, your app will have to comply with the Payment Card Industry Data Security Standard. It is necessary for enhanced card information protection and security. Since your app is all about sales, you need to know the behavior of your customers and track their activity. As well, you have to know about your sales and store performance to adjust the marketing strategy correspondingly. For that, you must incorporate an analytics tool within your mobile app. The most popular choice would be Google Analytics. It allows tracking screen activity (the most popular screen, duration of visits, etc. ), events (button clicks, swipes, ad clicks), performance of individual products or categories and more. Due to the popularity of the tool, Google offers a ready integration solution for Apple Market and Google Play. A business mobile app does not necessarily have to 100% reflect the website. It may be supportive or carry a gamification function – but not when we speak about an e-commerce mobile app. Once you synchronize your app and the website, it would significantly save your time on implementing any changes within a store. Instead of doing double-work, you will be able to perform the actions simultaneously on both platforms. You can integrate the app with the website via the API or with the manual file upload. The first option is faster and smoother and you can set up your store to notify the server every time any change is applied. Social media is today’s most powerful tool to reach your customers and communicate with them. For the mobile app, it performs several important functions. Social media is a great promotional tool as it allows users to interact with your brand and share it on personal profiles. But for e-commerce, it plays a more significant role. Users tend to abandon their shopping carts due to the lengthy registration process. 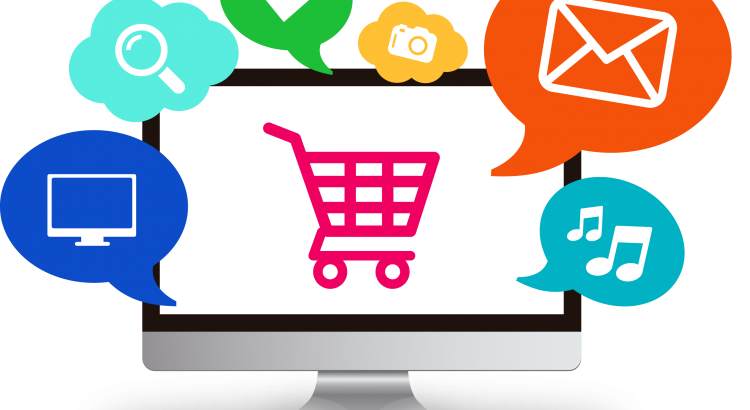 The integration of social media enables a one-click registration and decreases the abandoned cart rate. Visual merchandising implies creating an attractive display of products in order to engage the customer and motivate them to buy from you. Speaking in terms of an e-commerce app, visual merchandising will be reflected via the app design and UX/UI. Do not underestimate the role of a good design. Carefully selected design elements can encourage to interact with a product much more than a promotional email. The design of the application should reflect your brand, its message, relate to the target audience and communicate the overall nature of the brand. The in-app navigation plays a significant role too as it will be responsible for the customer’s intent to buy. If the action takes too many clicks, the user will most likely stop doing it. So your primary task is to make navigation as natural and hassle-free as possible, allowing your customer to enjoy a buying experience. Though seemingly obvious, wishlists remain a powerful tool to retain existing customers and attract new ones. 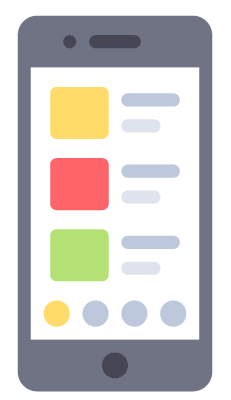 The incorporation of a wishlist within your app will help you encourage users for a purchase, actively interact with your products and offer more personalized suggestions and recommendations. Depending on your store, you can integrate either a single or multiple wishlists and categorize them (i.e. Christmas wishlist). One important thing is to enable an option of creating a “guest wishlist”: for that, the user will only need to provide an email address in order to access the wishlist from any device. Wishlists, same as product carts, have to be visible and easily accessed and managed. Otherwise, there is a high risk of the users abandoning the order and leaving the app. Your business solely depends on your customers and, thus, you have to efficiently manage your client base. For that, companies utilize Customer Relationship Management systems that allow storing customers’ data, analyzing it and using for future company development and sales growth. The analysis of the customers’ demographics and buying behavior contributes to tailoring one’s marketing strategy in order to meet the exact buyer’s needs and increase sales. Another system that is crucial for any business is ERP – Enterprise Resource Planning. This system is incredibly complex and involves not only customers’ data but also information about all business processes. ERP contributes to smooth business management and helps to improve the company’s performance. Since mobile application serves as a source of valuable information about the customers and their buying behavior, it would make sense to integrate the CRM and ERP systems into your application (a Magento agency will help do that). By doing so, you will centralize all your processes, coming from both the website and mobile, and will be able to keep an eye on all business flows and adjust them, if needed. The above-mentioned features are specific for the e-commerce mobile apps, but another functionality is somewhat similar to any other application. It will depend on the type of goods/services that you offer, your target audience and other factors that should be outlined in advance before launching the app. Irina Linnik a marketing specialist at Onilab – a Magento troubleshooting company. Being a savvy e-commerce observer she always keeps abreast of innovation and covers the latest industry trends. Irina has over 5 years of experience in freelance writing and has helped numerous companies communicate their message across various channels. 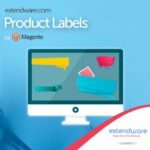 Here at Extendware, we are excited to introduce our new 2.0 Magento Extensions! 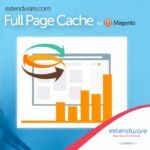 We will be adding new extensions monthly and will continue to use the same quality dedication, to make you the best assets for your Magento store! Magento 2 is very advanced and extremely solid php driven e-commerce platform. However, such a solidity has a side effect. It’s not easy to understand how everything works and organized in Magento 2 from the user standpoint especially of you had no experience with previous version of e-commerce platform, Magento first edition. We would like to introduce you Magento 2 Essential Video Training where this “side effect” of Magento 2 is addressed. This user oriented training made by Alex Kostritsa, gives merchants, marketing managers, and other admin users the basic information they need to manage Magento 2 store. Such Magento 2 course will make your Magento 2 experience smother and effective than if you decide to dig into everything by your own. Chapter #1: From this chapter you will learn how to select hosting and install Magento 2. What useful software to consider and how to install store sample data. Chapter #2: The major section where author highlight the basic features needed for day-to-day operations. You will learn how to manage all type of products, categories etc. You will also understand how to work with attributes and attributes sets. And of course, basic marketing and tax related features are covered in this chapter. Chapter #3: Last, but no least chapter is about adding extensions, templates as well as do other sort of tune-ups for Magento 2. If you are looking for step-by-step that will help you to learn basis, this video course made by Alex is a great choice! Black Friday and Cyber Monday are a great opportunity for online retailers and e-commerce businesses to drastically increase their sales with discounts and sales. Have you prepared your Magento store the millions of shoppers, amped up to spend money for Black Friday and Cyber Monday? We have some tips that may help you and your store prepare! People can’t find you if you don’t tell them. Send out dedicated newsletters to your subscribers by creating coupon codes and send them to customers in newsletters. Try conversion rate optimization software to track your customers conversions and promote specials via pop up ads or banners on your site! We love Picreel as they use the ReelOverlay feature where you can capture a new lead, gain a sale, or simply keep a visitor on your website longer with a pop-up that is customized according to your needs. Add social media buttons to your product pages to encourage visitors to share your offers or post on blogs, community forums etc. Don’t be shy! If you want your products to jump off the shelves during the campaign, you need to change the look of your website. Turn headers into banners to promote discounts. You can use several tools to do so. Check out our User Experience Extensions to help with things like search engines, product sorting, frequently viewed items and more! A holiday campaign performs best with seasonal landing pages. You can SEO-optimize pages by using Black Friday- and Cyber Monday-related keywords. 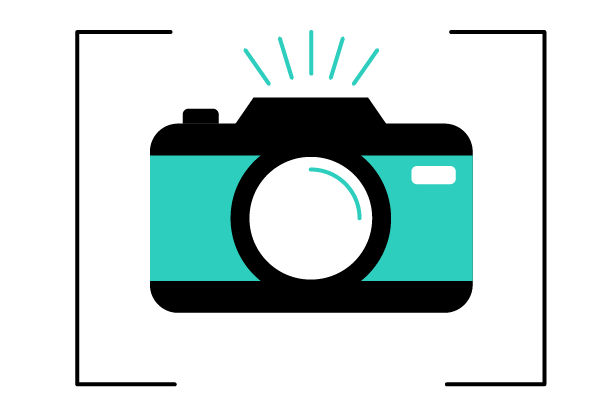 Use captivating images, write great content to allure shoppers. Try Image Optimization for faster load speed on images or Minify Js/Css/HTML to reduce page size, bandwidth and server load. You can also add temporarily SEO keywords to existing product pages to enhance your chances of getting new customers who utilize search engines to find discounts on the Internet. Having an SSL certificate is also essential: shoppers may abandon the shopping cart if they see that the connection is not secure and they may be at risk of losing credit card data. One of the most frustrating things for customers can be the checkout process. How many times have you seen your potential buyers just leave everything in the cart and bail? Its not a fun feeling. Abandoned Cart Modules have been extremely popular, allowing the system to inform your runaway customers that they have some good stuff waiting to be purchased! Check out Abandoned Cart Reminder or Follow Up Email for more info! Everyone loves a good deal, and thats the main idea behind Cyber Monday and Black Friday. The great thing is, being an E-Commerce store, your customers can avoid the hassle of getting dressed and perhaps trampled by the deal seekers! Try Shopping Cart Price Rules to enable custom discounts for the Holidays or Free Gift to spread some love to those good customers you want to thank or introduce to your products. 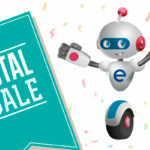 Black Friday and Cyber Monday are the best time of the year for ecommerce businesses to take sales to the next level. Some businesses miss the opportunity by failing to prepare their Magento store for the holidays. 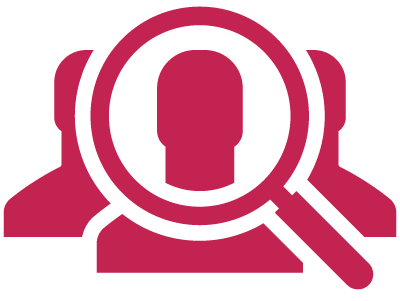 Stand out from the competition and see how Extendware Extensions can help you get on track. We offer 7 day free trials and 30 day money back guarantee, so you have nothing to lose! Have fun and Happy Holidays from Extendware! You’ve built what you think is a pretty good website, and you can’t wait to start catering to visitors—while your site may have performed just fine when you were the only one testing it, are you sure it’s up to the challenge of handling real operating conditions? Load testing is essential to deploying a web presence that works, and you can’t afford to launch without it. Here’s what you should know. In the realm of modern computing, the concept of a load is equivalent to the amount of demand being placed on a given system at a particular moment. For instance, network hardware such as servers, or the computers that answer requests for your website’s data, make decisions at specific rates and only accept a certain maximum number of connections. Similarly, a site’s database software backend may not be capable of processing more than a limited volume of transactions at one time. How Does Load Testing Work? As you can see, there are many different ways to quantify load and measure the performance of the distinct elements that make up a functional website. Load testing simulates what could happen when your site faces real-world conditions. For instance, you might use a testing tool that generates thousands of requests that your server has to answer or force your shopping cart software to process hundreds of dummy orders simultaneously. You can take this practice even further by pushing your site beyond its limits, which is known as stress testing. By exceeding the reasonable demands that your website usually faces, you get a better picture of what could happen during disaster situations. What Can Load Testing Reveal? Why try to break your site with stress testing or have it perform simulated tasks? The idea behind load testing is to prevent the unexpected from catching you off guard. Websites and the business systems that they connect to depend on a seemingly endless amount of computer code. Many sites and server operating systems run tools and libraries from hundreds of sources. It can be hard to anticipate when something might not behave the way you assumed it would. To make life tougher, many programmers design software to fulfill specific needs in a limited range of use cases. It’s not unreasonable to assume that you might commit a fatal error while attempting something you thought was totally fine. 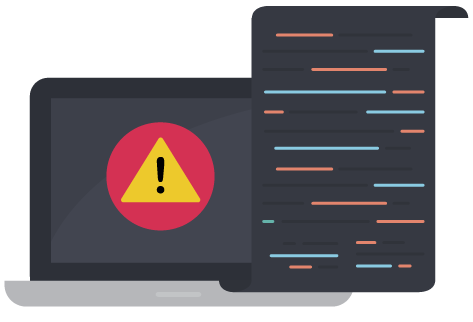 Instead of waiting until you’ve got a thousand customers trying to make Black Friday purchases to find out that your site can’t cope, it’s better to learn how it behaves in a safe testing environment. Load testing doesn’t just let you know what you’ve done wrong. It also reveals what you could be doing right. Since testing exposes performance data, it makes it easier to optimize the way your site works so that it meets demand. Glenn Lee is a Web Performance Engineer and Technical Writer who has worked at Dotcom-Monitor for 5 years. He is passionate about the technology industry, how it progresses rapidly, and meets varying global development needs. Glenn focuses on web performance advancement. Extendware is excited to announce our recent partnership with the E-Commerce Agency, Blue Swallow. 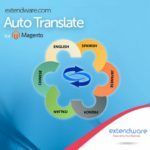 At Extendware pride ourselves on our top of the line Magento Extensions. Our priority lies with the quality and service that comes with our extensions, and therefore want to focus our time on improving and adding more add-ons to our store. We know that may times Magento Stores can be different and require more attention after installation. To make sure our customers are getting the best in timely and efficient service, we have outsourced Blue Swallow, a quality E-Commerce Agency. 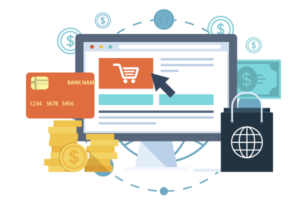 At Extendware, we believe that you are in excellent hands as the developers at Blue Swallow Group are well versed in Magento and work 7 days a week to ensure our customers are taken care of as urgently as possible. Blue Swallow is an experienced e-commerce agency, curating a highly skilled team of Magento specialists, serving clients on a local, regional and global scale. Our qualified team of hand-picked and individually trained developers is certified and highly skilled in Magento, Drupal and WooCommece platforms. We have a combined 7 years’ experience in web development, native mobile/app development, performance optimization, third-party extensions customization and bespoke software development. As the largest eCommerce players such as Amazon continue to enhance their customer service experience, it puts increasing pressure on smaller retailers to follow suit. 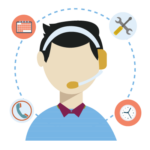 Customer service means more than handling post sales enquiries, it also covers many steps leading up to the customer making the purchase decision. Consumers have extremely high expectations when it comes to customer service. A recent survey by Business Insider discovered the 60% of US consumers didn’t complete a transaction due to a poor experience and that 66% of US consumers will actively pay a higher price to shop with a company that provides a high standard of customer service. 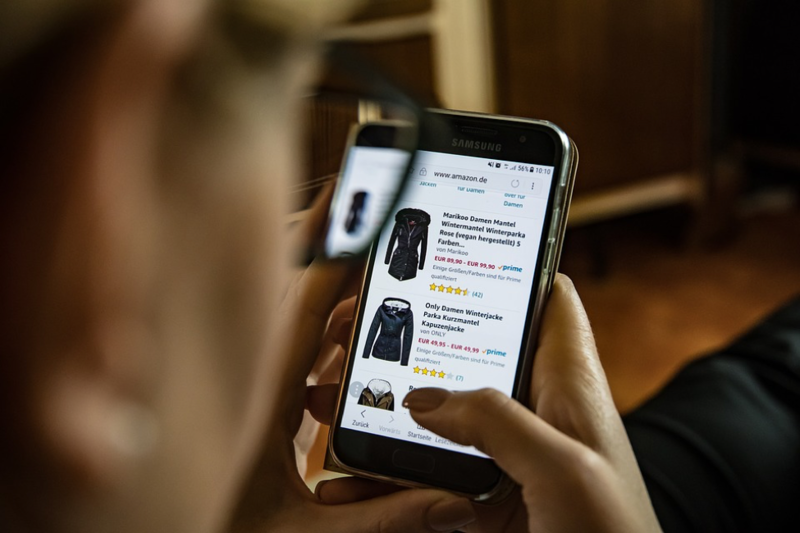 With this in mind, there is clearly a lot at stake for ecommerce retailers to provide the best possible shopping experience and after sales care. Before you can convince a visitor to part with their money, it is essential to create a smooth shopping experience. We have highlighted a number of key areas below. Different shoppers like to use ecommerce sites in different ways. For example, some people prefer to use the onsite search, whereas others will use the navigation or rely on recommendations. It is therefore essential that you have all of these bases covered. If your onsite search is not up to scratch, look to incorporate a third party extension or plugin. Make sure that you have a simple to use product filtering function on your category pages. And also make sure that your related product recommendations are well maintained. When a customer is going through the process of determining whether to make a purchase, they need to know how much any added extras will cost and how easy it is to return items once they have purchased them. Having a clear and visible delivery and returns policy always visible will solve this. Further to the above, offering a free delivery option either on all purchases or above a certain spend level can further incentivise a browser to become a shopper. Online shoppers are also looking for flexibility when it comes to delivery. For example, they might be happy to pay for an expedited same or next day service or they may find a click and collect more suitable for their needs. A slow loading website can be a conversion killer. If your site is too slow, you will be leaking customers and it can also have a negative impact on your Google rankings. More people shop on mobile devices that on desktop. It is therefore essential that your mobile experience is fully functional. Once the purchase has been made, the traditional after sales care will kick-in. As with browsing, different customers will expect different channels of communication. 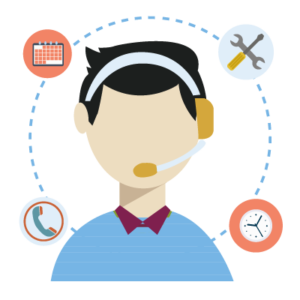 It is therefore important that you have a number of alternative methods for customers to submit enquiries, questions etc. 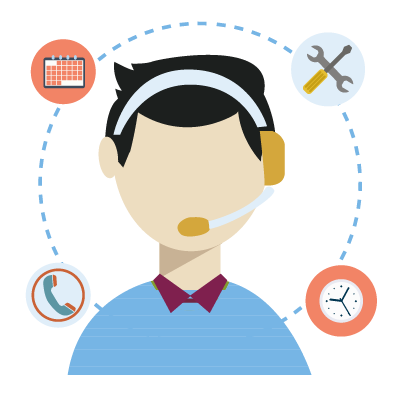 These are: Livechat, telephone, email (have this connected to a support ticketing system) and social channels. Sometimes a customer might try to reach you directly or indirectly via social media. It is important that you have a customer service representative listening to your social channels so that they can pick up and deal with any complaints and queries before they escalate. It is sensible to publish a reasonable response policy on your website, however, you should always strive to beat it. The faster that you can respond to a message or query, the less time the customer has to post a complaint online. This should be taken into account during the traditional seasonal busy periods, planning for this and hiring extra temporary support staff can be sensible. If a delivery problem occurs, do whatever can be done to take the pressure from the client. Contact the courier company on their behalf and do what you can to remedy the issue. If the delivery is delayed and the customer paid extra for faster delivery, you should refund this charge. Further to this, you should offer an extra incentive such as a free gift or discount with their next purchase. As we have seen, there are many ways to enhance the pre and post purchase experience in order to have a positive impact on revenue and general customer satisfaction. Now is a good time to review your existing processes and see if they where they should be. David is a Director at Best Response Media. They provide innovative Magento ecommerce and digital marketing solutions from their offices in Central London. We have great news at Extendware. Not only are we adding new Magento 2.0 extensions weekly, but we are also updating our extensions to PHP7. Many of them are available now so we thought we would share a little bit about PHP7 here in our blog! A great advantage of the new PHPNG engine is the significant performance improvement. The development team of PHPNG refactored the Zend Engine, and remarkably optimized memory usage. With PHP 7, not only your code will be executed faster, but you will also need fewer servers to serve the same number of users. PHP is a prominent member of the LAMP stack which means its native environment is Linux, but it’s also possible to run it on a Windows system. PHP 7 introduces consistent 64-bit support which means both native 64-bit integers and large files will be supported, allowing you to confidently run the language on your 64-bit Windows system in the future. The Zend engine has been powering PHP since 1999 when it was introduced with the PHP 4 release. Zend (not to be confused with the Zend Framework) is an open source execution engine written in C that interprets the PHP language. 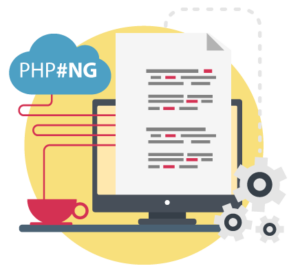 PHP 7 receives an entirely new version of the engine coming under the code name of PHP#NG (Next Generation). 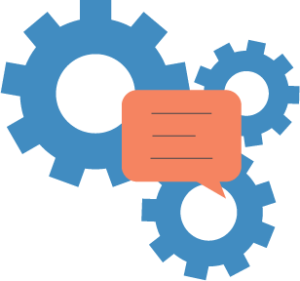 The enhanced functionality of the initial engine and adds an extensible object model and a significant performance enhancement to the language. PHP 7 enables you to use anonymous classes, already a well-established practice in other object-oriented languages like C# and Java. An anonymous class is a class without a name. The object it instantiates has the same functionality as an object of a named class. The syntax is the same as what we are used to in traditional PHP classes, only the name is missing. If anonymous classes are used well, they can speed up coding as well execution time. Anonymous classes are excellent when a class is used only once during execution and in cases when a class doesn’t need to be documented. Handling fatal and catchable fatal errors have never been an easy task for PHP coders. The new Engine Exceptions will allow you to replace these types of errors with exceptions. If the exception is not caught, PHP will continue to return the same fatal errors as it does in the 5.X series. The new Engine Exception objects don’t extend the Exception Base Class. This ensures backward compatibility and results in two different kinds of exceptions in error handling: traditional and engine exceptions. To enable programmers to catch both, PHP 7 introduces a new shared Parent Class under the name of Base Exception. The Spaceship operator runs under the official name of Combined Comparison Operator. The notation of the new operator looks like this: <=> (kind of like a simplified spaceship, if you imagine it right). The Spaceship Operator returns 0 if both operands are equal, 1 if the left is greater, and -1 if the right is greater. It’s also called a three-way comparison operator, and it already exists in other popular programming languages like Perl and Ruby. Have you ever wanted to prevent unintended return values by declaring the return type of a function? PHP 7 enables developers to enhance the quality of their code with the help of return type declarations. The new Group Use Declarations feature will be crucial for those who want to import many classes from the same namespace. The new syntax cuts verbosity, makes your code tidier and easier on the eyes, and saves you a lot of typing time. It will also be easier to read through and debug codes, as group use declarations help you identify the imports that belong to the same module. 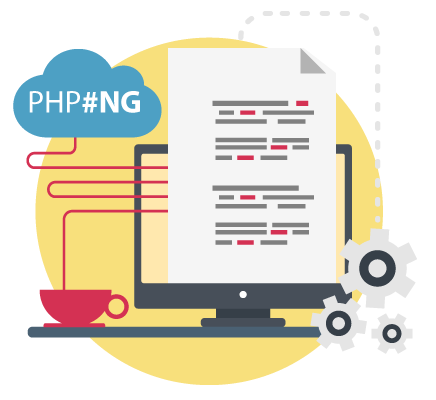 The goal of PHP 7 was to free up the space to enable improvement, so it was necessary to get rid of many deprecated functionalities and old and unsupported Server APIs and extensions. All the removed items have been deprecated for a while in PHP 5 so most likely you haven’t used them for a long time. However please note if you have a legacy app running on older PHP versions the new PHP 7 can potentially break the code. Check out some of our updated PHP7 compatible extensions! Increase revenue and customer satisfaction with faster, more relevant search results. 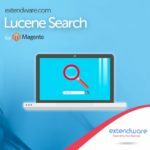 Lucene Search is a powerful and flexible search solution that helps ensure your customers can always find the products they want. 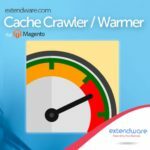 The Magento Full Page Cache Crawler / Warmer will ensure your Full Page Cache solution is always “warmed” and ready to serve your store pages at the fastest speed possible. The extension is efficiently coded to reduce bandwidth, CPU, and crawling time. Images are very important for online stores, but unnecessarily large images can slow down the user experience and reduce search engine rankings. 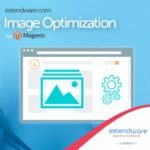 Image Optimization will optimize your images and reduce their size without sacrificing image quality, so that your site images are faster loading. Automatically highlight your special offers, featured products, sales, and more. 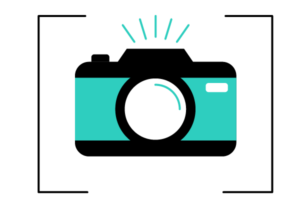 Multiple images / labels per products supported, flexible rules, and many, many options to empower you to market your products the best way possible. Branding is one of the key tools to a successful business. I mean, if people don’t know what you brand is then how can they buy something, or even better, become a loyal customer? To some brand marketing may come naturally, but for others it is just something else they have to do…but there are ways to make it easy and not expensive to implement. There are ways you can get creative and brand your business. It may require a little time, but in the long run, you will see the ROI and can actually save you money! Once you’ve identified your buyers are you can start to see your brand form. A brand identity is the things that make people aware of what your brand is, aka your voice. Figuring that out follows a process not unlike the one that’s used to determine your personas but instead of answering questions about your target audience, you’re answering questions that are more introspective to your brand. What are its values? What does it represent? The needs, goals, and behavior of your potential customers dictate how you convey your product or service. Understanding those things helps you determine what kind of media your personas are consuming, what motivates them, and where they “live” online. Having that information helps develop a compelling, effective brand and it helps you reach the right people! Now we know who your personas are and we know what to say to them and how to say it. Yet, where are they located? Since you might have a clear picture of the different pieces of your audience, it’s important to figure out where they’re spending the most time, especially on social media. It is effective to reach people where they are already present, which includes their online behavior, too. Once you do establish that presence, you need to maintain it. How many times have you gone to a brand’s Facebook Page only to find that nothing has been posted in the past three months? Chances are, it didn’t have a positive impact on your perception. That can be avoided by planning and scheduling social media posts like you would with any other marketing calendar. That’s a huge part of staying relevant to your audience. By sharing content that pertains to what they’re likely thinking about at a given time of year will be a key to your success. Blogging is important as we have said in other articles. It is the “attract” stage that turns strangers into visitors to your website. 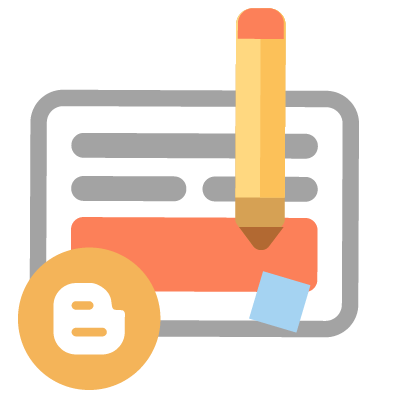 Blogging might be the most fundamental step of inbound marketing. It helps you reach qualified customers, by creating the informative content that matches the information they’re searching for. It’s so important to make it relevant to this audience, when you’re writing, make sure the content is optimized for those searches. After friends and family, blogs are the third most trusted source of information. That content will also serve as material to populate your social media networks, and we’ve already covered what a crucial part that plays in branding on a budget. One of the biggest struggles we hear about is the cost of spending time on it. 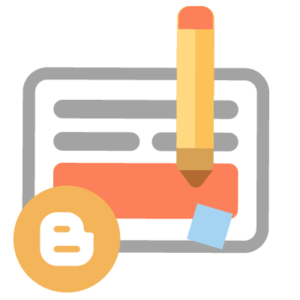 If you are new to the web and blogging, check out firstsiteguide.com. Here they can show you how to start, run and grow your own blog! Like planning your social media presence, having an editorial calendar for your blog can be helpful in maintaining consistent timing and fresh content. Whether you’re serving customers or clients, the goal is to create a delightful, sharable experience. And when the client or customer experience is a priority, it shouldn’t cost you much for them to talk about it. That revisits the importance of your identity and voice. As you go through these brand creating steps, think about the values that you want to be resonated in those things. Is amazing customer service one of them? Those values are what shape the brand, and that influences the voice you project to your audience. Building a brand might seem like a huge undertaking, especially with limited resources. However, there are plenty of economical ways to not only get started, but to continue the momentum you start with these efforts. The thing is, you can really have fun with the process! 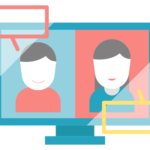 Today’s remote collaboration applications recognize that teams need a higher degree of personalization features. 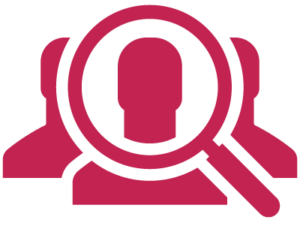 Simple touches, like uploading team photographs, providing access to short bios, and showing who is online, can help build relationships and create the sense your workers are part of a bigger team. Investing in the right hardware is a key component of managing virtual teams. Remote workers often fare better when they have access to laptops, smartphones, and tablets. Mobility is a key value of today’s remote work culture, where staff provides critical support to your business anytime and anywhere. Equipping them with the right hardware enables them to focus on collaborating and creating value. Who doesn’t love a to-do list! These lists help keep individual members of your team organized, while also enforcing proactive management. Managers can check to see what an individual worker is spending their time on daily. Try Hubstaff.com to help monitor your team! A program like this helps teams get a sense of how everyone’s contributing to the broader effort, which helps identify new opportunities for collaboration. Unified communication software enables a business to create a secure, virtualized collaboration environment. While your team members can’t walk across the aisle to talk with a colleague, this solution is the next best thing. From easy file sharing and document collaboration to texting and product status updates, collaboration between team members becomes seamless. Try Slack as a team communication tool! Nearly every app your business uses is available in cloud format, from communication applications to customer relationship management software. Strategically investing in cloud-based applications, allows you to enable teams to access the information they need, wherever they are. The ability to share files and work on them together is an important part of collaboration. Papyrus or Confluence are great examples.Your finance team may need to review a spreadsheet and update it in real-time, for example, or a sales team might need to work together to refine a presentation. With virtualized collaboration environments, colleagues can share the same screen, edit documents together, and track all the changes in real time, resulting in whiteboard session-quality collaboration. Communicate with video chatting, texting, and voice calls.Collaboration tools make meetings and one-on-one conversations easy. Remote workers can have multi-person video chats, allowing them to see each other and build deeper engagement, similar to face-to-face meetings. Texting allows colleagues to easily ask a question. 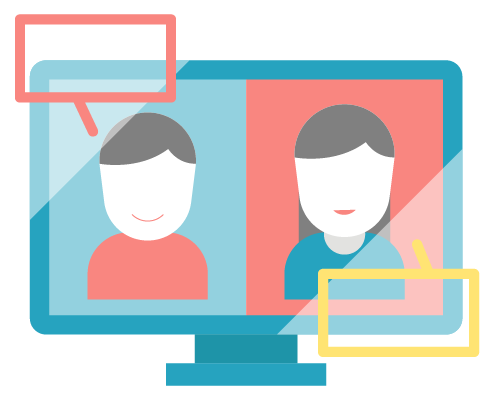 Breaking down barriers to basic communication is an essential part of managing virtual teams. On a larger scale, transparency and visibility into project progress is essential. With remote teams, project management applications are frequently updated as tasks are completed. Managers can identify challenges before they become roadblocks. When remote workers see how their efforts contribute to the bigger picture, it helps them feel more connected. The most talented and innovative employees may not intuitively understand how to be part of a remote team. Invest in training your team on how to stay productive on their own, on your company’s mission and values, and how to make the most of the collaboration tools provided. A well-trained remote worker generates better results. New tools are always being developed to make it easier for remote teams to stay connected and productive. Look for needs within your team and watch for tools that help solve those problems. Continue to evaluate new tools in the collaboration space to see if they’re offering new features that can help your team connect effectively. Remote work has a ton of benefits for businesses, from decreasing costs to increasing productivity. Businesses that invest in collaboration tools are poised to capture the full benefits of this work arrangement, maximizing productivity and business results.